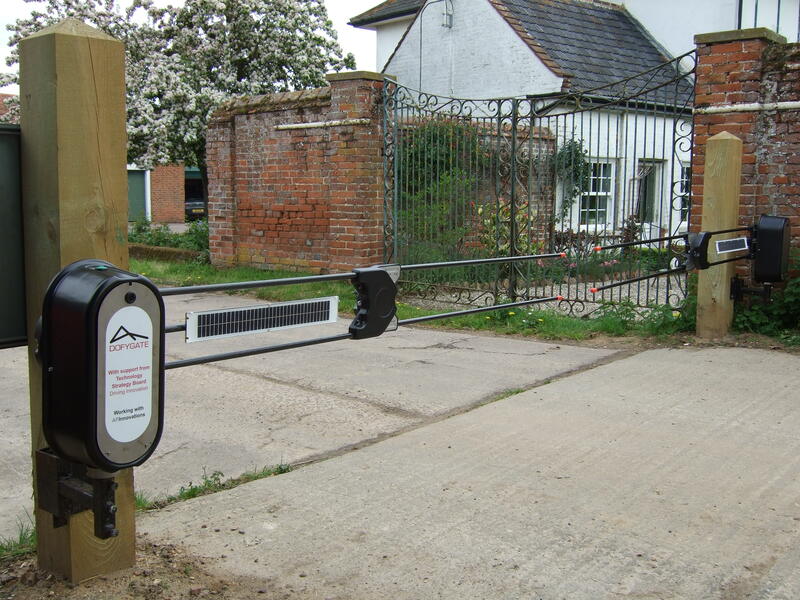 We have installed this gate at Manor Farm Calthorpe which is the entrance to the yard. It keeps the casual visitor out of the yard but allows those with fobs to enter unimpeded. Those without fobs can also enter by pressing the entry button even if this means dismounting from a tractor and the gate will stay open until they have passed through after which it will close automatically.